Ralph Highshaw, MD, is a board-certified urologist with over 20 years of experience. He received his medical degree from the University of Southern California Keck School of Medicine and completed his residency at LAC+USC Medical Center. Dr. Highshaw previously served as the Chairman for the Department of Surgery at Corona Regional Medical Center in California, as well as Executive Director for Primecare of Riverside IPA. 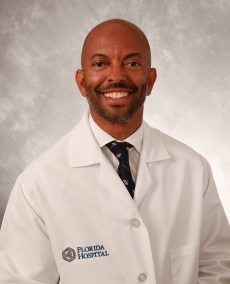 Dr. Highshaw is an active member of the American Urological Association, American Association for Cancer Research, American Medical Association, National Medical Association and United States Tennis Association. He is the recipient of numerous honors and awards, including First Place at the Northern California Urology Resident Research Conference, the American Association for Cancer Research Minority Scholar Award and the Praecis/AUA Gerald Murphy Scholar Award.